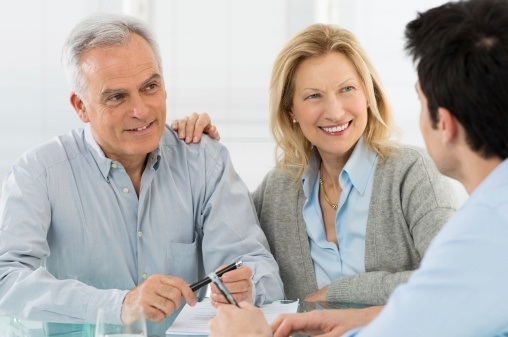 We have guided many prospective clients over the years through our informative Discovery Session process to help them identify opportunities to better manage their wealth. Some have become clients, some have not. Our process is designed to help you regardless of whether or not you become a client. We believe that "givers get," and we want to demonstrate value to you from the start without it costing you anything. We know that if the opportunity presents itself and we are the best fit for you, it will likely result in a new business relationship. However, we approach the Discovery Session in the context that neither of us knows if it makes sense to work together until after the session. That is when we will both decide whether to do business together. Another advantage of the Discovery Session is that it will give you first-hand experience in working with one of our advisors. You will experience our style, people, technology and get a better idea of what we are all about. We will mail to you our Confidential Profile, which will need to be completed and returned to us prior to your scheduled meeting. This packet includes a simple questionnaire about your financial objectives and personal situation. We know that some people would prefer to discuss their situation with an advisor as a precursor to scheduling a Discovery Session. We are happy to schedule a 15-20 minute phone conference to answer any questions you may have. Please call us at (636) 200-4160 or email us at [email protected] to arrange a call.